This is factually incorrect. The idea that all gun sales require a background check , is absurd. Any private seller can set up shop at a gun show and sell a gun without a background check. 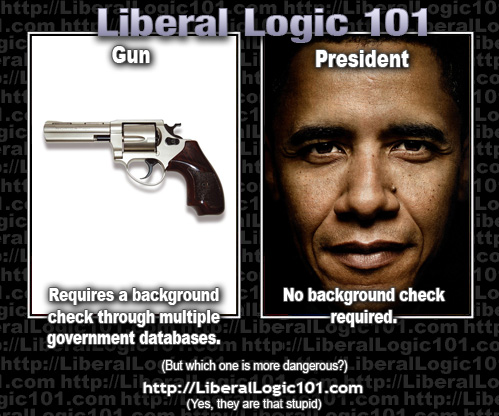 Thousands of guns have been sold to people who have not gone through background checks. The claim that Obama became president without anyone looking into his background , is also absurd. The message here , is that a black president is dangerous because he’s black , has a Muslim sounding name , and that a gun is less dangerous. Liberal Logic 101 is so blatantly obvious in their racism , even a two-year old can see it.